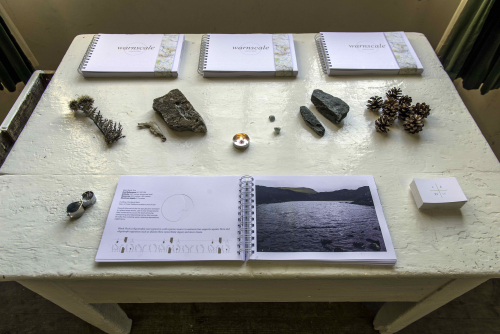 From 20 June to 19 July 2015 performance maker and artist Louise Ann Wilson will present an exhibition of photographs, drawings and artefacts at the Wordsworth Trust that offer an insight into the 12 month process of creating her new walking-art book, Warnscale: A Land Mark Walk Reflecting on In/Fertility and Childlessness. Louise researched and developed Warnscale through in-depth studies of the landscape in which it is situated combined with observational research in fertility clinics, a series of mapping-walks, and a close reading of the journal writings of Dorothy Wordsworth who walked in and wrote extensively about her experience of the landscape of the Lake District. Indeed, Dorothy Wordsworth has informed the book and its aim of engaging the reader/walker in new, or different, ways of engaging with landscape in order to reflect upon and even transform their experiences. You can find out more about the exhibition by clicking here.